Tomorrow is my birthday. I am so excited! Today was so much fun!!! I got to go play at a splash pad with some friends of mine. I went down the slides and played in the water with my friends, and it was so much fun! Except I didn't like when Keith made me stand under the big bucket and it dumped out all of the water and soaked me and it was cold and so scary! But my mom was right there and she yelled at Keith and let me sit on her lap wrapped in a towel and fed me animal crackers and fudge goldfish. I love those crackers and goldfish! After the splash pad, we went to Grandma's house. I got to play with some of my cousins, and we chased the cat around, and played on the swing set and with the barbies. My favorite is to play with the barbies and dollies. And Grandma always gives me treats when I use the potty at her house, so I try to go 12 times each time we visit. But sometimes I forget and have an accident. But Grandma doesn't get mad at me, so it is okay. 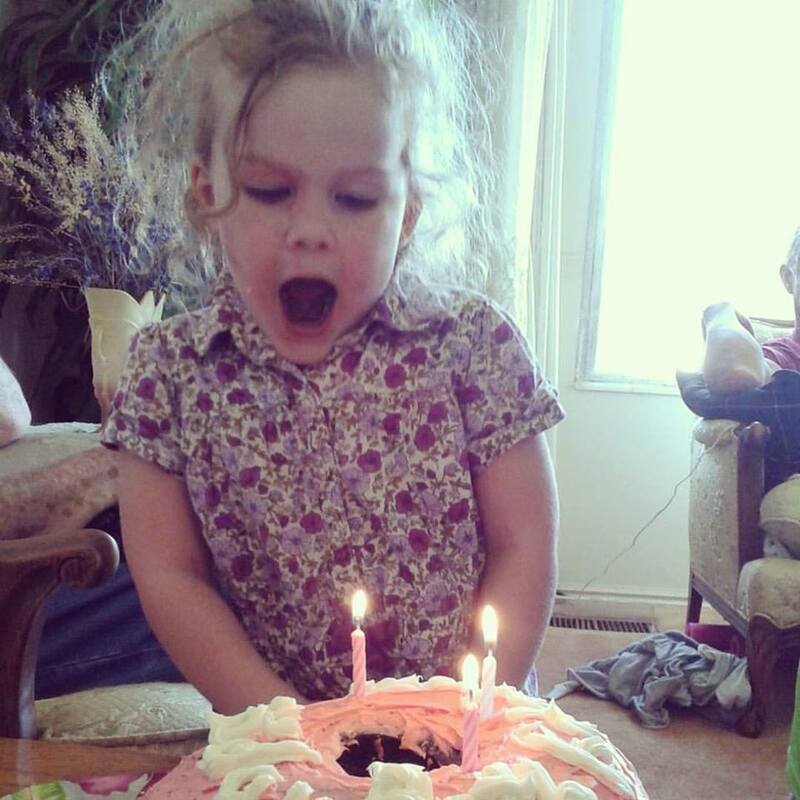 Today my aunt MaryAnn brought some pizza to share with everyone, and Mommy and Grandma made me a PINK cake! It was chocolate on the inside, but the pink frosting was my favorite part. And the ice cream! I had pink ice cream, too! We stayed for most of the day, and played and ate, and I got presents. Even Great Grandma Jeri was able to come! She has been sick and so I haven't been able to see much of her lately. I was happy to see her again. When we got home, Daddy made us dinner and I got to cuddle with Mommy and watch a show with her. It was a great day. I love my birthday! From Beth, lol. I was trying to figure out when you stood under the bucket. Hahaha! That girl is the cutest! !